The Federal Government would let Boko Haram choose a non-profit organisation as an intermediary in any talks on the release of about 200 schoolgirls kidnapped from the northeastern town of Chibok in 2014, President Muhammadu Buhari said on Sunday, according to Reuters. Buhari first said last year that his government was ready to negotiate with Islamist militants, Boko Haram, over the girls, but the group has not commented on the proposal. “If they do not want to talk to us directly, let them pick an internationally recognised non-governmental organisation (NGO),” he said. Buhari said Boko Haram could begin negotiations on a prisoner swap if they could provide evidence to the NGO that they had the girls. Around 270 girls were taken from their school in the village of Chibok in northeastern Nigeria in April 2014. Dozens escaped in the initial melee, but more than 200 are still missing. Earlier this month, Boko Haram published a video apparently showing recent footage of dozens of the girls and saying some were killed in air strikes. Authorities said in May that one of the missing girls had been found and Buhari vowed to rescue the others. 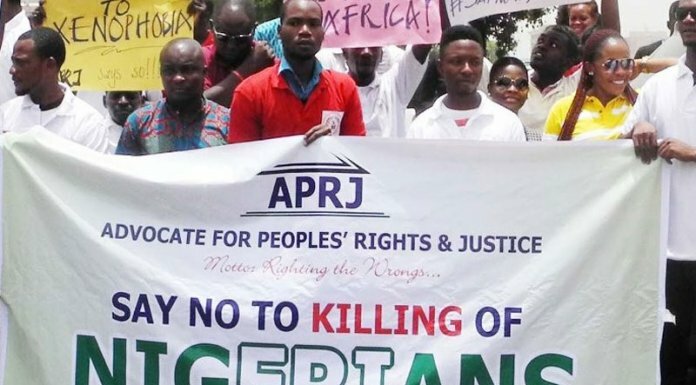 Nigeria is fighting the group on the ground and with air strikes. A multi-national joint task force – comprising troops from Nigeria and neighbouring Niger, Cameroon, Chad and Benin – is also battling the militants. On Tuesday, Air Force said it had killed some senior Boko Haram militants in raids. Boko Haram pledged allegiance to Islamic State (IS) last year, but there are signs of a rift emerging. This month, IS announced a new leader for what it described as its West African operations but Boko Haram’s hitherto leader Abubakar Shekau appeared to later contradict this in a video message. Buhari said that if the Nigerian jihadists moved to start discussions “through the ‘modified leadership’ of Boko Haram and they talk with an internationally recognised NGO” then Nigeria would be prepared to discuss the release of militant leaders. “We want those girls out and safe. The faster we can recover them and hand them over to their parents, the better for us,” he said.